Citizens’ Rail’s “Beach train” project has won an award at a ceremony recognising the best regional transport projects in France. The summer weekend service was introduced by Citizens’ Rail partner Pays de la Loire on the previously struggling La Roche-sur-Yon line in July 2013. Supported by a fantastic marketing campaign, the train was a huge success – with more than 5,300 extra journeys made, and an average ridership of 171 people per train, rising to 359 people on the busiest service. Passengers gave an overwhelming thumbs up to the service, with satisfaction ratings hitting 90% and the only grumble being overcrowding – and this on a line which is sometimes practically deserted. The beach train is now back for an extended season in 2014 (1st May to 28 September), helping to take a line blighted by having too few trains and even fewer passengers and transforming it into a thriving resource that boosts tourism and the economy. The project won the “Passenger service” category at the national Grand Prix des Régions awards held by French transport sector magazine Ville, Rail & Transports. The awards, now in their fourth year, recognise the country’s very best regional transport projects. The “Passenger service” category recognises new services benefiting TER passengers. 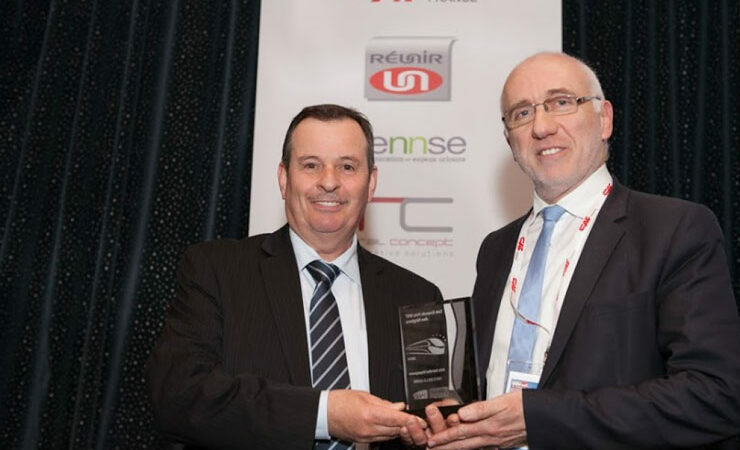 The award was presented to Gilles Bontemps, Pays de la Loire’s Vice-President for Transport, on 13th May 2014.